"DNSBOX gives us increased DHCP performance and redundancy to meet the needs of our growing volume of FTTH customers." Mike Neverdusky, CDE Lightband, USA "CACHEBOX is a fantastic product and a great solution for saving bandwidth. The support is excellent, very responsive and always going above and beyond to help." Ramy Youssef, Cairo American College, Egypt "With DNSBOX we now have a hardened and easily managed solution not to mention the savings in space, electricity and cooling"
John Calisi, IT Manager of Operations, Tennessee Board of Regents, USA "Since we deployed [DNS]BOX we have not had any issues - it works perfectly!" Manish Govindji, IT Manager, ZEE Communications Ltd, Tanzania "DNSBOX is one of the most reliable elements in our enterprise. 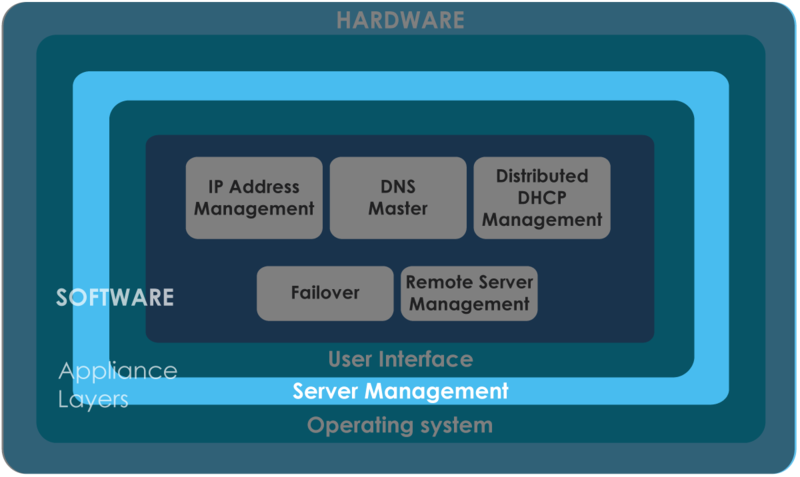 Simple to install and configure, it has required zero maintenance"
As well as DNSBOX’s primary job – managing DNS, DHCP and IPAM services – you need to take care of the “housekeeping” – deploying, managing and maintaining the servers in your network. DNSBOX makes this easy too! But you might not notice what’s happening in the background. DNSBOX software self-manages, checking what is happening in the appliance environment, and responding to events – for example by automatically restarting on-box processes which stop unexpectedly. The result is a more robust DNS service, with less need for server administrator intervention to keep things running smoothly.